Lohri is celebrated to mark the end of the sowing season of winter crop and remembrance of the Sun God, Surya, who is offered prayers and gratitude for blessing devotees with his presence. Lohri 2019 is just around the corner and it's time to indulge in all the festive foods of this harvest festival. Lohri is the festival that marks the beginning of the harvest season, which calls for a celebration in many states of north India, including Punjab, Haryana and Himachal Pradesh. The festival is mainly celebrated by the Hindu and the Sikh communities, wherein they light a holy bonfire, which signifies passing of the winter solstice. There are a number of traditions related to this Punjabi festival other than lighting of the holy bonfire like offering ceremonial prayers and even preparing delicious food. Moreover, before harvesting the crops, people offer their thanks to the God. Lohri is celebrated to mark the end of the sowing season of winter crop, which is now ready to be harvested, and remembrance of the Sun God, Surya, who is offered prayers and gratitude for blessing devotees with his presence. According to the Indian calendar, Lohri falls in the month of Pausha, and according to the Gregorian calendar, it is celebrated on the 13th of January every year. Lohri is followed by the festival of kites, Makar Sankranti, which marks the beginning of the summer months. 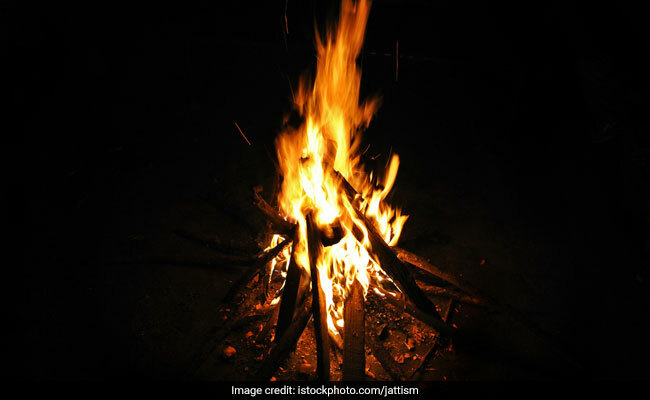 Lohri 2019: How Is The Festival Celebrated? Lohri traditions and festivities are quite vibrant and soulful. The festival is characterised by a tradition of lighting of a holy bonfire, which signifies 'Agni', the God of Fire. People in the community gather around the bonfire, warm up to the sparkling flames, offer prayers, sing songs, dance and throw in foods like gajak, chikki, jaggery, popcorn, sesame seeds (til), rewari and peanuts to pay homage to their roots, in a matter of speaking. People in north India gather around a bonfire and put sweets made from jaggery and sesame seeds, including rewari and gajak into the fire, as offerings to the God of Fire. Other offerings include peanuts and popcorn. The same foods are also given to people as prasad who attend the festivities. The Lohri feast is mainly prepared using ingredients from winter crops like radish, groundnuts, mustard greens, and sugarcane along with many others. The festive feasts that are traditionally made during Lohri are makki ki roti and sarso ka saag that are served with whole and homemade butter made from cow's milk as accompaniments. Other than this, people also prepare sesame rice (til bhaat) with sesame seeds and jaggery. This bonfire festival is all about togetherness - a day to warm your hands and hearts. Here's wishing everyone a very happy Lohri!